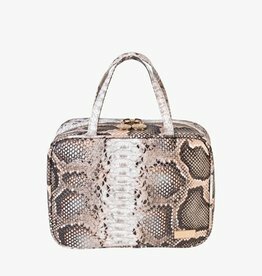 This pied-à-terre for make-up is our most popular cosmetic bag. 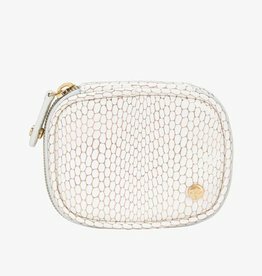 Two snap-out mesh pouches, a removable toiletry pouch and detachable mirror make this travel case as organized or as roomy as you desire. 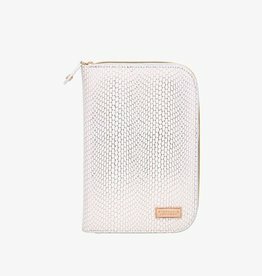 This versatile wallet goes just about anywhere. Carry it on your wrist or attach it to your handbag. 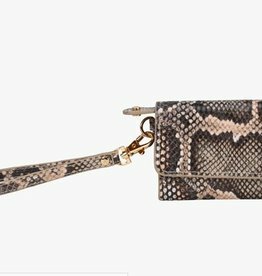 Either way, the fold-over snap closure keeps your cash, cards and ID right where you need them. An RFID-safe liner protects your personal information. 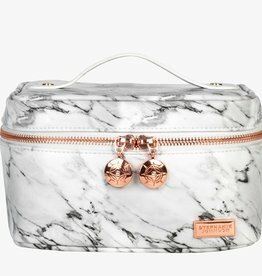 A luxurious home for your beauty must-haves, this sumptuous travel case securely straps product in to prevent spills while providing effortless utility. 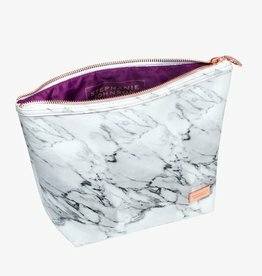 This spacious trapezoid shaped makeup bag is perfect for setting atop your bathroom counter or vanity. 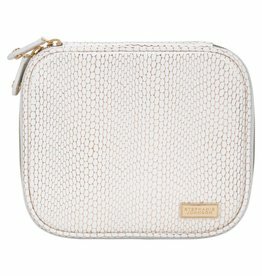 It provides easy access to must-have products as a travel accessory or standout addition to your everyday routine.